Pin It Ello my lovlies! Today I have something super special for you all! 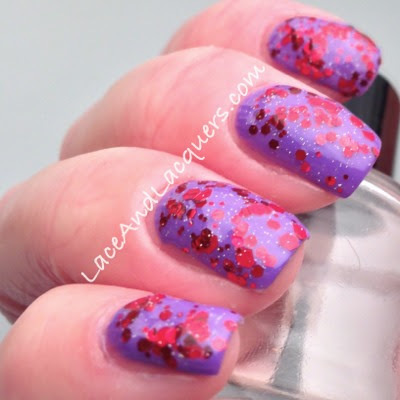 Makeup Your Face asked me to come up with a custom polish a few months ago for a Blogger Collection. I was stumped for weeeekkkksssss! I sat in front of my polishes staring at the color combos and finishes. I even browsed the Internet many times for ideas, looking at pictures of flowers and beaches and crap lmfao! THIS is the Blogger 1.0 Collection by Makeup Your Face. 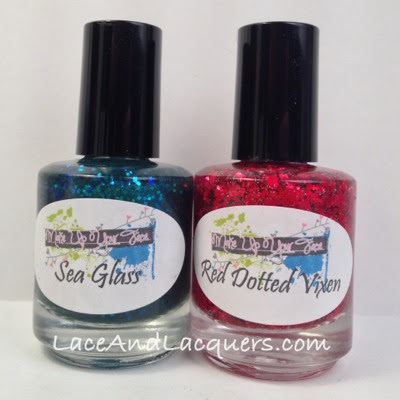 Sea Glass was my creation and Red Dotted Vixen was the polish Elizabeth of Dotty's Attic thought of! I found it cool how different our polishes are! Def a great set to buy if you want a mix of polishes. 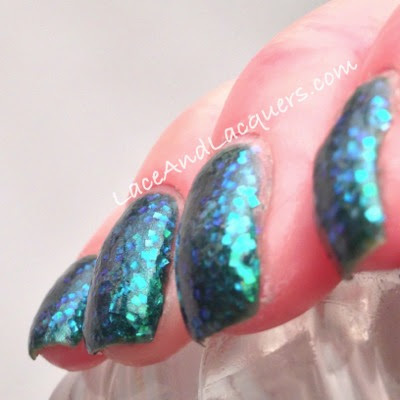 Swatches and more ramblings after the jump! Red Dotted Vixen "contains matte & metallic red hexagons in a variety of sizes with some fine holographic glitter added in". I really like the mix of matte and metallic! 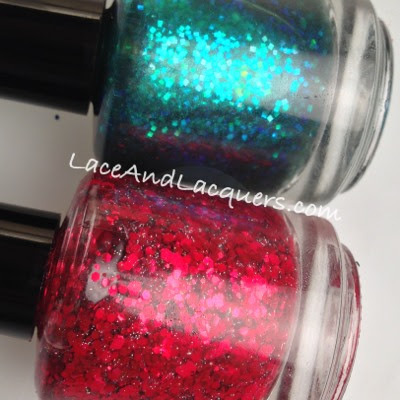 I don't have many Indie glitters with the two mixed together. 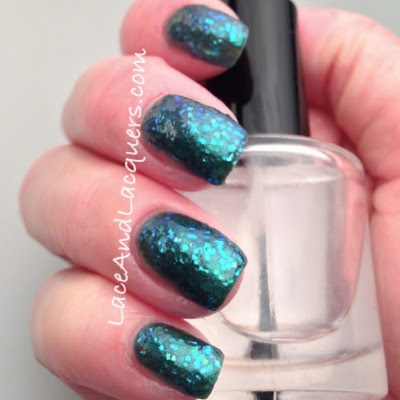 And the holo shimmer adds just enough to make this polish a little more glitzy than a strictly red glitter. I did ONE coat of RDV over Julep Anne, pretty good contrast of color if you ask me! RDV had great coverage, no need to dip and dab and a decent drying time. No complaints here! 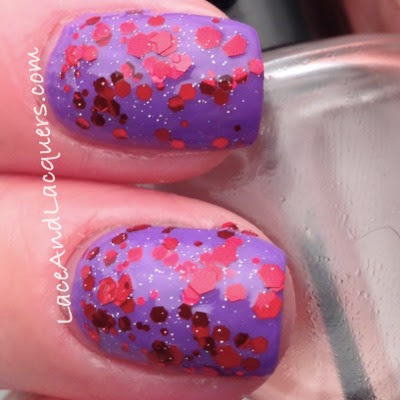 If you're looking for a red glitter, this one is great to have. Lauren tested and mixed and came up with one of the most gorgeous things I've possibly ever laid my eyes on. 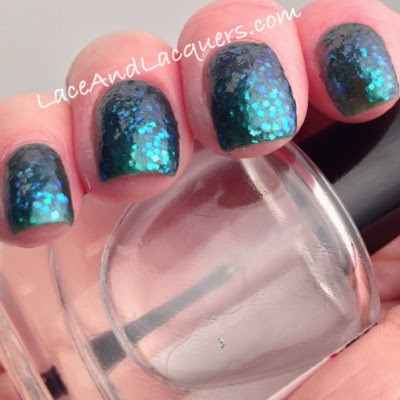 Ladies and gentlemen, here is my dream polish. My little polish baby, well.... I guess Lauren and my baby lmfao, my little bottle of joy - I call it, Sea Glass! Clearly, my idea was "go big or go home" LOL. Hey! When someone asks you to review a custom polish, why skimp out?! It was seriously one of the hardest decisions ever, for me. Of all things, I knew I HAD to have a color shifting shimmer of some sort. But... that was all I knew haha! 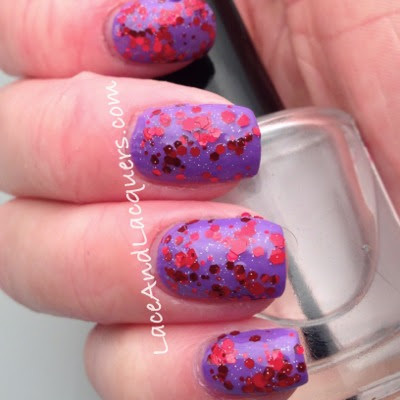 Finally, I saw a swatch of a pink indie someone made combined with inspiration from Hare Polish - it hit me! :] PERRRFECTIONNNNNNNNNNNNNNNNN! HellloooOoooOOooO! 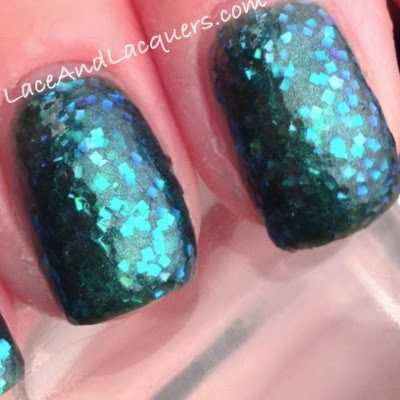 I did 3 thin coats of Sea Glass with top coat and no undies. I wanted to get the layered look but not screw it up while drying LOL. There was no dip and dab needed, great coverage, good dry time also! You can buy the full sized duo for $15, here. 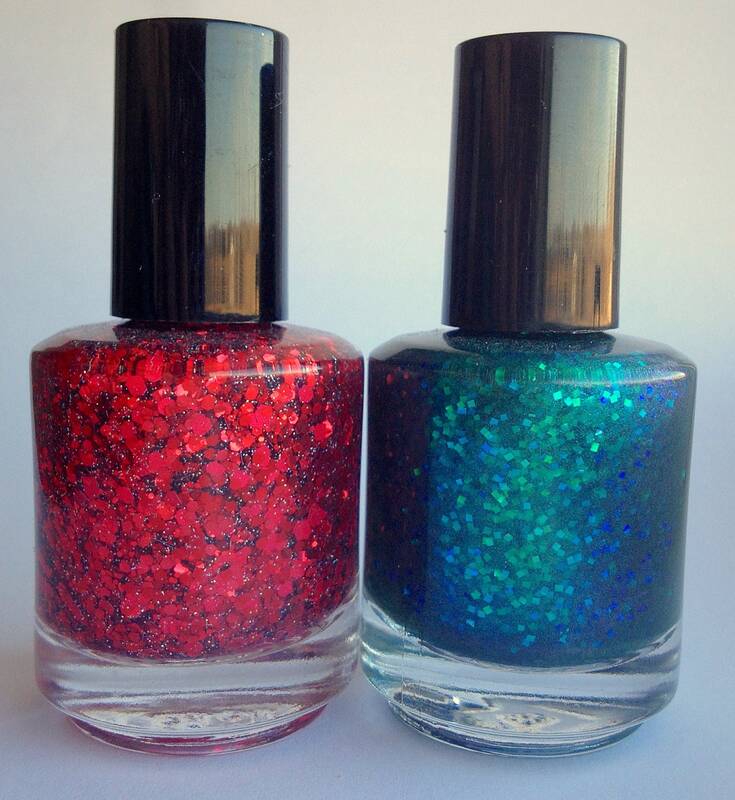 Or $7.75 (full size) separately here: Sea Glass, Red Dotted Vixen. Whoa! Sea Grass is a stunner. I love Sea Glass!! Great job!